The speed and portability of the LS880 allows it to be deployed in the tight confines of aircraft. One operator can collect the interior shape of an aircraft in a few hours, or scan the exterior surfaces to supply an accurate 3D volume model. Accurate to +/-5mm, the LS880 captures 40 million points per scan, which equates to a surface sampling density of 1.2mm at 2m. Colour data is coupled to the scan data and each scan takes approximately 10 minutes. A typical days scanning would see the GSS/DJA team capture some 20-30 scans, all tied in to a master survey at millimetre accuracy. As the scanner is non contact, there is no danger of damaging the fabric of the aircraft and a range of up to 80m ensures the scanner picks up detail in even the largest aircraft. The team at GSS/DJA combine the scan data together using a variety of processing packages, depending on the required deliverable. 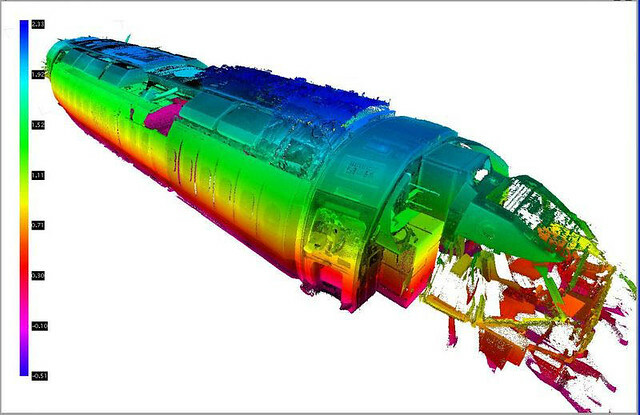 A typical scan process will see the scan data aligned and cleaned using Faro Scene, then exported to be used as the starting point for creating a 3D CAD model of the aircraft. 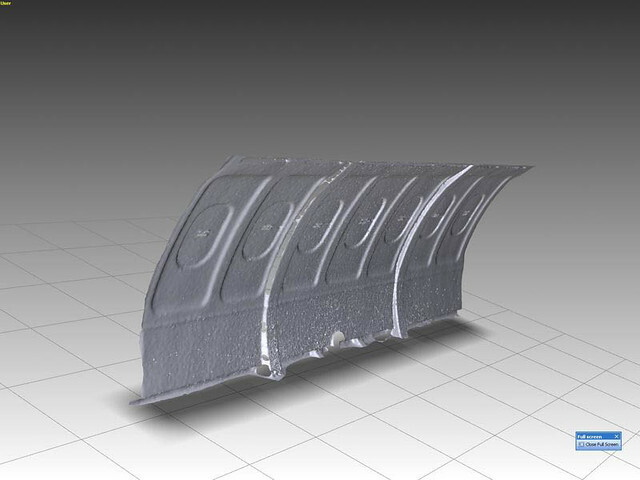 Alternatively, the data can be meshed and imported to our CGI package for modelling or exported as STL data suitable for creating space claim models in packages such as Solidworks, ICEM surf or Pro Engineer. GSS/DJA have supplied 3D STL polygon mesh models to be used as a starting point for the development of new interiors for an aircraft. Scans of detailed areas such as the galley, toilets and emergency exits give the CAD designers sufficient guidelines to work to. Typical cross sections, window surround detail and areas such as overhead lockers can be quickly modelled up as true CAD entities from the polygon template, reducing modelling time and especially site visits to check measurements. The team can also create 3D volume models of the exterior of aircraft, used for planning and as a starting point for development of virtual reality models. Again, the use of scanning to capture the complex shapes saves time and site visits for the CAD designers – they have the complete point cloud data set available to check dimensions, interrogate details and create cross sections, plans and elevations from. For more examples of our survey work on aircraft, please see our Flickr site.